Hidden Scroll distinguished himself as a 3-year-old colt with a big future when the son of Hard Spun debuted at Gulfstream Park in Hallandale Beach, Fla., with a handy 14-length romp in his debut Jan. 26. 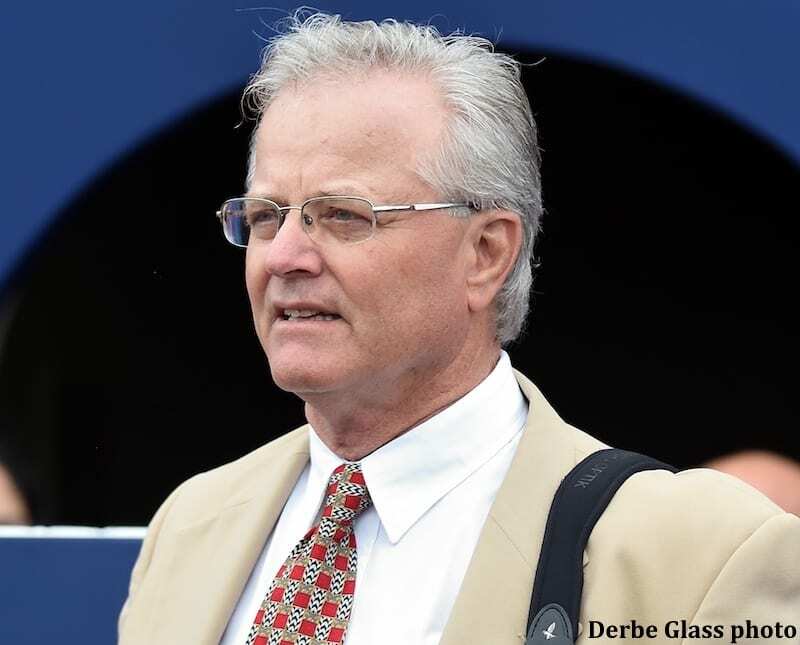 Hall of Fame trainer Bill Mott was so dazzled by the Juddmonte Farms homebred's performance that he has given the Kentucky-bred colt the ultimate vote of confidence by entering him in Saturday's $400,000 Xpressbet.com Fountain of Youth (G2) at Gulfstream. Running a colt in a graded-stakes in only his second career start – no matter how impressive that colt's first race may have been – isn't something that the consummate horseman would do on a whim. Debuting in a mile maiden special weight race, Hidden Scroll broke on top and was never threatened while skipping over a sloppy track and covering the one-turn distance in 1:34.82 under a hand ride. Last year, Mott was so impressed by Hofburg's maiden victory at Gulfstream Park in his second lifetime start that he entered the Juddmonte homebred in the $1-million Xpressbet.com Florida Derby (G1). The son of Tapit closed late to finish second behind Audible to earn a berth in the Kentucky Derby (G1), in which he was steadied twice while rallying from 15th to seventh. Mott has built an incredible résumé since saddling his first starter in 1973. He has saddled the winners of more than 4,900 races, including a vast number of graded-stakes. A Kentucky Derby win isn't on Mott's résumé yet, but he has only saddled eight horses for the first leg of the Triple Crown. This entry was posted in NL Article, Triple Crown and tagged bill mott, fountain of youth stakes, gulfstream park, hidden scroll, hofburg, Juddmonte Farms, kentucky derby, National Museum of Racing Hall of Fame, tacitus by Press Release. Bookmark the permalink.